Digital painting using the standard brushes of Photoshop. Find a piece of fabric, a needle & thread. Draw a cat figure in the fabric with chalk. 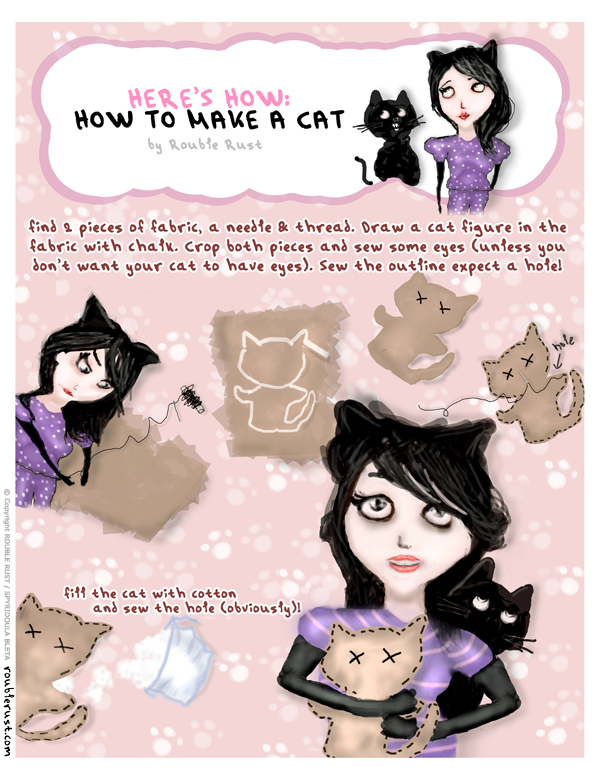 Crop both pieces and sew some eyes (unless you don’t want your cat to have eyes). Sew the outline expect a hole! Fill the cat with cotton and sew the hole (obviously)!